Indianapolis, Indiana – Indiana patent infringement litigation was commenced by a patent attorney for One Number Corporation of Anderson, Indiana. The lawsuit, filed in the Southern District of Indiana, alleges that Google, Inc., of Mountain View, California, infringed One Number’s Contact Number Encapsulation System, Patent No. 8,611,511 (the “‘511 patent”), which has been issued by the U.S. Patent Office. At issue in this patent litigation are the respective intellectual property rights of One Number and Google in single-phone-number telephone services. Such services allow a phone call made to one number to be transferred to multiple other phone numbers. One Number asserts that Google has infringed and is still willfully infringing the ‘511 patent by making, selling and using a system that embodies One Number’s patented invention. The service claimed to infringe upon the ‘511 patent is Defendant’s Google Voice technology. The patent-in-suit was issued on December 17, 2013 and has been assigned to One Number. One Number asks for judgment in its favor against Google, a final injunction against the continuing infringement, an accounting for damages, interest, costs and attorneys’ fees. Practice Tip: This is not the first Indiana patent litigation that One Number has instituted against Google relating to the Google Voice application. At least one similar complaint was filed in March 2010, although that complaint pertained to U.S. Patent Nos. 7,680,256 and 7,440,565. 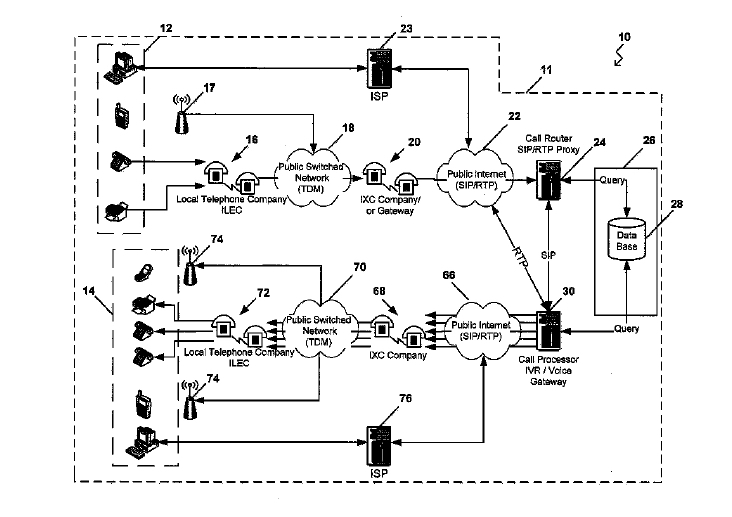 Google responded, among other ways, by seeking reexamination of One Number’s patents. This approach met with some success but was apparently insufficient to dissuade One Number from pursuing further patent litigation. The suit was filed by Alastair J. Warr of Krieg DeVault LLP. The case was assigned to District Judge Larry J. McKinney and Magistrate Judge Debra McVicker Lynch in the Southern District of Indiana and assigned Case No. 1:14-cv-00142-LJM-DML.